In certain study areas, coyotes have accounted for up to 75 percent of fawn mortality. They're a severely underrated predator, but do coyotes kill deer? It was a perfect fall morning, cool and just a bit overcast. I was perched in a climbing stand 20 feet above the intersection of two well-worn deer trails that crisscrossed a hardwood ridge top. Three does were slowly feeding in my direction from the opposite ridge. They were at least 75 yards away--still well out of bow range--so I sat back and enjoyed the scene, hoping the heavy-racked buck I had spied the week before would join them. Without warning, all three does bolted out of sight, their white tails waving and shrill snorts of alarm piercing the air. Perplexed at the sudden panic, I quickly suspected a shift in the breeze, but the wind was still in my face. No way they smelled me, I thought. About that time, the sound of rustling leaves intruded from my left. The general area I was hunting was smack dab in the middle of a very rural county, but the actual tract I was on was surrounded by several homes owned by what I call nouveau country folks--former city dwellers who read one too many Southern Living magazines and fell in love with the idea of rural living. Therefore, my first thought was that some idiot was jogging along a path that cut from the landowner's yard to the river below. Then the culprit appeared. I had to blink to be sure what I was looking at. Before me was a huge, mangy coyote, trotting toward where the deer had been standing. 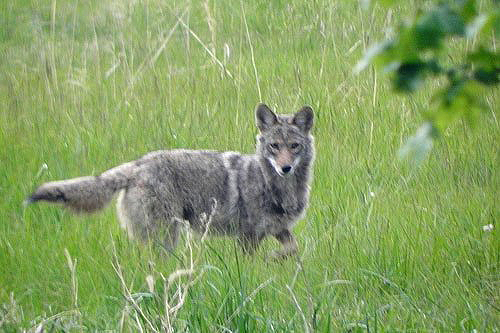 This was more than 14 years ago, and at the time it was only the second coyote I'd ever seen, the first one being while I was hunting in Wyoming--out West, where they were supposed to be. This was Virginia. While news reports would soon reflect the fears of local rancers regarding the canine invasion, I remember initially being excited about their arrival. Something else to hunt, I excitedly mused. Stupid me. This trail camera picture of a coyote carrying a fawn by its head is a common scene that most aren't aware of. More than virtually any other species in North America, even wild hogs, coyotes have expanded their range, and they are now found in every state. Are coyotes killing deer? They have even moved comfortably into some suburban areas, where they occasionally make news after attacking and killing somebody's small pet. In rarer cases, young children have been attacked while playing in their yards, and in a truly bizarre case last October, a 19-year-old folk singer was killed by coyotes while hiking in eastern Canada. In general, however, the canines prey on smaller game such as voles, mice, squirrels, rabbits, birds, turkey eggs and the like. 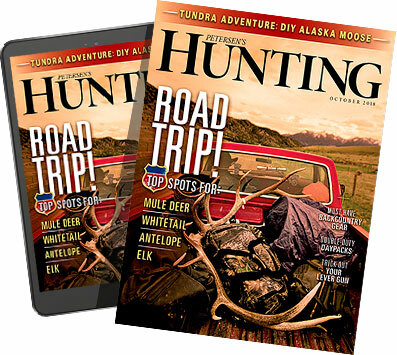 While turkey hunters have openly discussed how to minimize the negative impact coyote populations may have on wild turkey numbers, such debate has largely been absent among deer hunting circles. That is about to change. A study conducted by U.S. Forest Service Research Wildlife Biologist John Kilgo at Savannah River Site in South Carolina is revealing a stark picture of coyote predation on deer populations. The site, a 310-square-mile nuclear processing facility operated by the Department of Energy, is virtually all undeveloped pine lands, creating a unique real-world laboratory for researchers to study wildlife dynamics in the southeast. This is an area largely devoid of natural predators, until now. What time of year do coyotes kill deer? After a fresh snowfall is when they're prey is most susceptible. "Until five years ago, nobody was worried about the coyote's impact on deer," says Kilgo. "Now we have evidence they are significantly impacting some populations." However, the problem isn't one that affects mature deer, at least not in the southeast, which experiences little snowfall and accumulation to weaken and slow large creatures, making them vulnerable to predation. "There's no evidence coyotes prey on adult deer," says Kilgo. The concern is with fawns, particularly in their first week of life when they are most vulnerable. While studies on coyote predation have been performed in the past, none has been carried out with the immediate data collection that Kilgo's team has utilized. For the past three years, they have implanted transmitters into pregnant does in the winter. Then when the does drop their fawns in the spring, the transmitter alerts the researchers and they can go in right away and place radio collars on the fawns. Past studies centered on researchers finding fawns on their own, typically a week or more after they were born. The difference the first week makes in a fawn's ability to survive a potential coyote attack appears to be significant. "A lot of other studies may have underestimated the effects of predation by catching fawns that are a week or more older," says Kilgo. "We're seeing as much as 75 percent mortality with some populations, with predation results ranging overall in the neighborhood of 50 to 85 percent." Even at the more conservative average of 75 percent, that is three out of every four fawns being lost to coyotes. When asked how sure he is that coyotes are indeed the cause of death and are not just happening upon carcasses and scavenging them, Kilgo is confident his numbers stand up. "If a radio collar [on a fawn] hasn't moved for four hours, we go in right away," he says. "The chances the fawn died and within four hours a coyote found it are pretty minimal." Coyote hunting can help your deer herd, but the predators are sure to bounce back. Ninety fawns have been tracked over the past three years as part of Kilgo's study. A few were killed by bobcats, some were hit by cars, one was bitten by a snake, a few are unknown and occasionally one will be abandoned. All of those causes combined account for less than 5 percent of the fawn mortality in the study; the rest are the result of coyote predation. This is not good news for wildlife managers and property owners managing their lands for optimal deer herds. Part of their management regimen may soon need to include some effort at predator control. Of course, this does provide sportsmen with another hunting or trapping opportunity--in most cases year-round. It's one many sportsmen are ready to embrace, as evidenced by the swelling ranks of predator hunters. The stakes may be higher now, as nobody wants to see whitetail hunting diminished for the benefit of another species. The truth is, even if every one of us takes to the woods in an effort to reduce the number of predators threatening each year's crop of fawns, it's unlikely that we could completely eradicate the coyote from its new range. When asked do coyotes kill deer and what can be done, Kilgo is matter-of-fact. "We may just have to start sharing our deer with the coyotes," he says.